Twelve years after their single 'Bohemian Like You' was first released, and following re-releases and a high profile global television ad campaign (for Vodafone), the song still won't leave The Dandy Warhols alone. Just last October, the track was in the news again when it was played at the Conservative Party conference as, incredibly, it was used in a speech by the Home Secretary Theresa May (she didn't sing). The Warhols weren't very Dandy about it, with front man Courtney Taylor-Taylor leaving little room for ambiguity, saying "Why don't these assholes have right-wing bands make them some right-wing music for their right-wing jerkoff politics? Oh, because right-wing people aren't creative, visionary or any fun to be around." Don't hold back, Courtney. 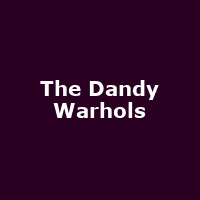 With 'Bohemian Like You' on radio B-lists (and spin doctor's wish lists) seemingly permanently, the Warhols have not rested on their dandy laurels and are currently working on their seventh album of catchy indie pop. The new material will get its first airing in the UK at three gigs in the spring. The Dandy Warhols kick off their short tour at the Garage in Glasgow on 19th April, followed by the Manchester Academy and finally the HMV Forum in Camden on 21st April 2012. We will have tickets available from 9am on Friday 10th February, priced £24 for London and £20 for Glasgow and Manchester.